I thought I’d take a moment today to review Garnier Micellar Cleansing Water since cleansing waters are becoming so popular here in the US and having a bit of a trending period. There are a great number of budget friendly options available at the moment like Simple Cleansing Micellar Water and Boots Botanics All Bright 3 in 1 Cleansing Solution. But, by far, the greatest deal I’ve come across in the cleansing water world is Garnier’s Micellar Cleansing Water. It’s dirt cheap for a huge bottle. FeelUnique.com carries on sale for $5.30 plus they often have 15 to 20% off coupon codes you can use! Off sale, it’s typically around $7 to $8. Better still would be if Garnier actually releases this in the US so we don’t have to wait for slow airmail to get our fix but until they do I don’t mind purchasing online that much particularly because this is very large bottle that will last a while. Garnier Micellar Cleansing Water comes in a 13.5 oz bottle that apparently you can get 200 uses out of according to the brand. I’m not sure about that but this is a very, very big bottle and you’ll get a ton of use out of it before running low. I really like the Boots formula I recently tried and reviewed for you but the bottle is pretty small and I can run through it very quickly. I think cleansing waters should be all packaged in jumbo bottles like the Bioderma one and Garnier’s version because, hey, it’s a product you’re going to be using daily so why should you run out and have to buy it every other week ya know? Eye makeup removers should start upping their sizes too! Garnier’s formula is a lot like Bioderma’s but it contains less ingredients. The lack of extra ingredients takes nothing away from the formula because it works just as good as Bioderma and removes 95% of your makeup without stripping or drying ski. As a person who suffers from drier skin I think that’s one of the things I like the MOST about micellar waters. I never feel tight or dry after using micellar water and that’s always a plus in my eyes plus they do not contain alcohol which is a plus as well. Micellar water have tiny little cleansing agents (micelles) that act like a magnet to lift dirt and makeup from your face. 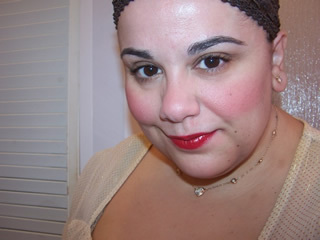 They actually do a fairly good job of removing makeup very, very easily with minimal effort on your part. It’s a simple swipe and go. I love the convenience of using a micellar water when I get home late and just can’t be arsed to do my entire cleansing routine. It’s the lazy guide’s girl to removing makeup. I don’t really rely on these for daily cleansing though. I typically clean my face as I normally do and I follow up with micellar to get anything my regular cleanser or cleansing oil might have left behind. They are great to use as a secondary cleansing method if you tend to double cleanse. The Garnier formula has absolutely no fragrance and is excellent for all skin types particularly sensitive ones. I’d say it gets off 95% of my makeup, even harder to remove waterproof mascara and eye makeup. I do find it leaves a little bit of mascara behind but aside from that it really does do a good job getting it all my makeup off quickly and easily. This doesn’t leave me sticky nor does it leave a film behind. It leaves skin lightly softened after use. Of course, I still embrace the traditional cleansing method because, I dunno, I have some weird mental issue that I never feel completely clean when using a micellar water! 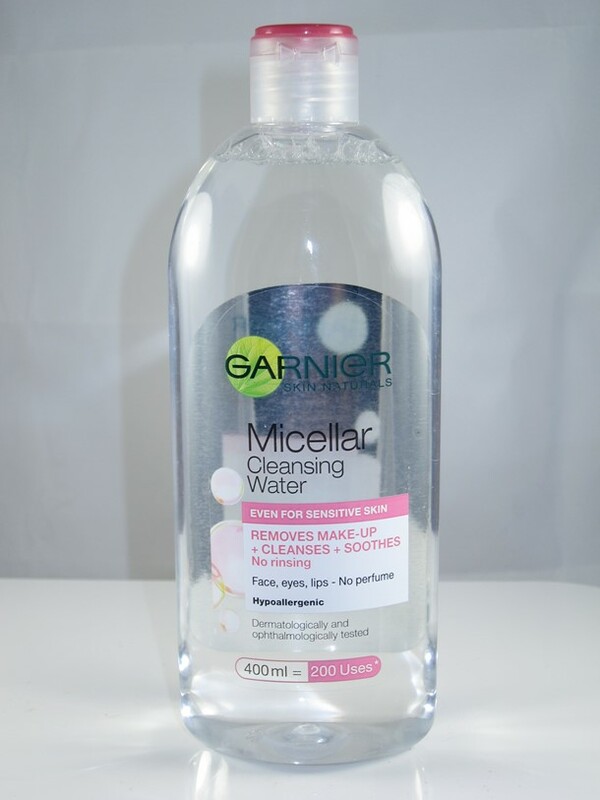 But no doubt, Garnier Micellar Cleansing Water is an excellent pick that won’t let you down when removing makeup! It isn’t yet available on the US market but I’m sure at some point we’ll get it! It is, however, easy enough to get online and cheap too! This looks nice. I have the Boots one you recommended and I really like that one. I have to add this one to my list. This came out in Australia last year and is really popular. It would be great if it was released in America too. There’s another good Garnier makeup remover that i don’t think you guys have it, it’s the Garnier Clean Sensitive Waterproof Makeup Remover, it’s a dual phase one, pretty much a cheaper version of Lancome Bi Facil- that’s also really good for eye and face makeup. I think Australia pretty much gets the same Garnier products as the ones in the UK, but the US is a bit different, maybe different market=different products. oh no, we don’t have that sushiroll! sounds good! Thanks for this great tip! Would you say this is comparable to the Simple Micellar Cleaning water? I don’t use it to remove makeup at night because I typically use waterproof eye makeup, and I also have to traditionally cleanse to feel like it’s all gone. But I do love it as a replacement for my morning face cleanse because it’s refreshing and hydrating and removes any residual traces of makeup from the day before. I saw that there is free international shipping for orders over 10 pounds, so I was wondering if there is anything else that you would recommend buying on this site, particularly things we can’t get in the states. Thanks!! exfoliate, but it works well when I’m really lazy on the occasional night. Awesome review! I’ve been itching to try this and I’m so glad it worked for you! Garnier skincare always looks amazing but then never works for me lol but I have high hopes for this. I may need a break from your blog…actually, it’s my wallet that’s having a hard time adjusting to the influx of awesome goodies I want to buy but she gon learn today!! haha I know what you mean. In particular the Asian garnier products always look amazing but aren’t as great as the packaging 😀 haha Jay 🙂 please don’t leave, I can’t be alone in my crazy! I live in Mexico and I buy this on supermarkets, I think I’m in my second bottle right now and I love it! Mainly because I use waterproof mascara and any kind of heavy duty makeup remover causes white bumps around my eyes, so using this instead has been a great for me 🙂 Also, I think I’ve seen a green version for combination skin in the UK. I might be completely cracked, but I’m pretty sure the ingredients in the micellar water are fairly similar if not exactly the same as Simple’s eye makeup remover. Why sell the same product in 2 different packages and call it something else? Well, at least Garnier’s version is larger, like you said. I saw this on EBay a few months ago but it was kinda pricey, maybe $15 a bottle so I didn’t buy it. I really like the Simple one as a replacement for my morning cleanser, since I do all my deep cleaning at night & it gets all my heavy duty night cream off. I would rather traditionally double cleanse to really get all my layers of makeup off. Thanks for the review!! This stuff is amazing! I had never used a micellar water before and didn’t really think it was something I needed until I read your posts on them. I couldn’t believe all the gunk it got off and how easily it removed face makeup. Its so satisfying to actually *see* it all on the cotton round after swiping my fave with this stuff. I like garnier skincare anyway and this is definitely a win for me. yay! which one did you try? Pink or blue? The pink one. Still loving it. Good for someone like me who can be a little lazy about cleansing at the end of the night! awesome!!! 🙂 Try the blue one, not great for face but awesome on eye makeup! I was happy when I saw this at my local CVS but I didn’t like the $9.99 price so I will wait until I get a chance to go to Target or Walmart. Is this product vegan and cruelty free that you know of? Hi all — I just bought 2 bottles on sale at CVS, buy one get one 50 percent off, plus I had a $2.00 coupon. What a deal. I have tried the Simple Micellar cleanser and like it very much. Also have used one from the U.K., that I spied at TJ Maxx, but it has a scent andit foams a bit when you spread it on your skin (Good Things acai berry multi-tasking Micellar water). I hope this one will be better since I prefer unscented cleansers.